Everyday at work my team and I play some very engaging and sometimes physical games of ping-pong. I’m sure you are thinking how physical can table tennis really be, but trust me, it’s a miracle no one has broken a bone they way we, well at least the way I fly around the room. Its nothing for me to knock someone over going to return a ball, which is why I have earned the nickname “The A-Train”. What does this have to do with Star Wars you ask, I’ll tell you. My co-worker Chad figured out if he gets me engaged in conversation during the game I’m completely distracted and my game goes right down the toilet. Knowing this, the other day he started off with a simple statement as he served me the ball: “Back To The Future is a far better movie series than the Star Wars saga.” Needless to say, i was caught off guard and it showed. My jaw clinched as he began just pouring the gas on the fire he just started with small statements like “Marty McFly was better than Luke Skywalker” and “Biff was a better villain than Vader.” I was about to have a stroke but it did get me thinking, why Star Wars? Why has it had the long-lasting effect and life than other feature film series, i.e. Back To The Future, The Matrix, Lord Of The Rings? What has allowed Star Wars to stand the test of time and remain popular after all these years? Now, I’ll be the first to admit that I’m a huge fan of some of the movies mentioned above. All are great in their own rights, but why have they not had the endless popularity that Star Wars has and is enjoying? I thought about all aspects of the movies: the cinematography, the plot, character depth and development, special effects, the open environments to be explored and even the uniqueness of the individual movies in question. After careful consideration of all afore-mentioned movie series, they all had valid arguments for their superiority based on those factors, yet Star Wars still reigns supreme. Sure, the argument can be made Star Wars has stayed at the forefront of science fiction and fantasy worlds because George Lucas spent millions tinkering with his creation. Some of his changes were greeted with enthusiasm others with disdain. Yet over all, the tinkering done by the creator did improve the films overall, at least in my opinion. So what cause George Lucas to spend millions of dollars preserving, remastering and editing films which by general movie standards were already a success? It could also be said the marketing behind Star Wars was responsible. From the books to the comics to the toys, it created the opportunity for people to continue the story of the Skywalkers in our minds. Yet some of these other movie franchises have toys, books, and comics too. So why haven’t they enjoyed the success of fandom? What set Star Wars apart from them? This had me scratching my head as I looked around my Star Wars room, the answer hit me. The answer was right before my very eyes the whole time. I see the answer all over StarWars.com, Facebook, and Twitter. The answer was on my iPod as I listened to each new episode of Coffee With Kenobi, The Cantina Cast, the ForceCast, Fangirls Going Rogue, Skywalking Through Neverland, and the dozens of Star Wars podcasts. I read the answers in the thousands of fan fiction stories posted on the old message boards. I watched the answer march by in homemade costumes for five weeks straight during Star Wars Weekends. The answer was so simple. Star Wars is alive and well because of the fans. That’s right. We the fans are responsible for the survival of the Saga. Not so crazy when you think about it. During the “dark times”, we the fans wrote the stories that kept the saga going in our minds. After a while George Lucas saw there was still a demand for more and since he never felt he finished his original masterpieces and since he had the stories in his mind already, he gave us the special editions, followed by the prequels and The Clone Wars. Now with Disney and Kathleen Kennedy at the helm, we are getting Episode 7, 8, and 9, some stand alone movies, and Rebels. We the fans kept the Saga alive through our constant chatter, through conventions, through collecting, and through analysis. Fan films, podcasts, and fan fiction have given us a voice and we were heard and are still being listened to. We the fans have done our bit to keep our beloved saga mainstream and relevant in today’s society. How many of these other franchises have costume fan groups that have raised millions for charity? I believe we, the fans, will keep Star Wars alive for decades to come. With the Episode 7 on its way along with Rebels, a whole new generation of fans are on their way to help carry the torch. So I just want to say thank you to each fan who over the years has kept the fandom alive, either through blogging, writing, podcasting. Whether you have read a book, bought an action figure, or even watched any of the movies, you have kept the saga alive so thank you! 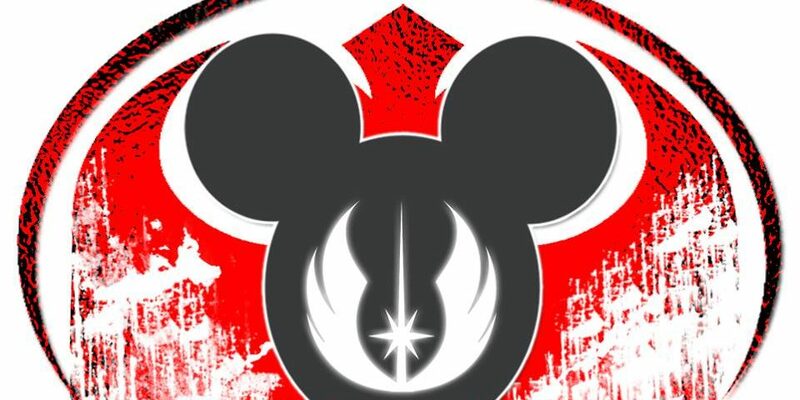 Most importantly, we all need to thank George Lucas, Lucasfilm and now Disney for allowing us to play in the Star Wars sandbox and for giving us new movies and Rebels as well! Even though they never had to, they listened to the longing of the fans for more Star Wars and they responded. This is an exciting time to be a Star Wars fan and I can’t wait to see what the future holds. Let me know what you think! Why do you think Star Wars has stood the test of time? Comment here or email me at aharris@coffeewithkenobi.com. Also you can find me on Twitter as well @taharris121079. May the Force be with you all… always. There is a whole galaxy of adventure that brightens our hearts, and this franchise has certainly become part of our psyche. Star Wars has a lot of emotional value, striking a chord since 1977. My husband and I were just talking about this. No kidding! 🙂 While there have been some movies that are just plain duds (I hate to use that noun, but they do exist. Only once have I actually stopped watching a movie because I couldn’t stand it. My daughter, who works in the film industry, informs me others exist. I shudder! ), my opinion is that there is a slew of films that really are quite good, that resonate with audiences, that inspire audiences, that have meaning. But you’re right, Aaron. There are few films that have endured like Star Wars. Why is that? Please allow me to say at this point that I enjoyed — thoroughly — all 6 films. I know there are plenty of fans who have had issues with the PT, and if you want my take on why, I’d have to say it really has to do with the lack of the humor we enjoyed in the OT. Not side-splitting humor. Not roll-in-the-aisle humor. Just a light-heartedness that was evident to make the OT films fun to watch. The PT really was too serious, and that was at the root of many fans’ problems with TPM, AOTC and ROTS (from this one fan’s point of view 😉 ). Star Wars is one of those rare entities that touch many, many people on different levels. 🙂 I like Star Wars just for the simple fun of watching a good movie. But it goes beyond that. I am passionate about Star Wars because it touches me on so many levels. It resonates deeply, and I always find something new to consider, to relate to. And this is even after 37 years of being a fan! I know this might sound like blasphemy, 😉 but I don’t even consider Star Wars (and I’m including all the films under this one umbrella name) to be THE BEST film ever made. In my opinion, that was “Gone With The Wind”. However, neither GWTW nor any other film can compare to Star Wars. Why? For all the reasons I have mentioned. Melinda, I love your answer! Its very true the internet helped boost the popularity of Star Wars, but the question is, why didn’t it happen to the other franchises out there that have excellent movies and products? Again, I’m led back to the passion of the fans who pushed the Saga and their love of it. I also agree with you when it comes to the PT. I love them for the story they tell, but when compared to the OT, it does lack the snarky one line humorous zingers that the OT provided which is why a lot of people found fault with the PT. Too serious, too political. Although some may consider it blasphemy as you stated, I agree, on a stand alone basis, Star Wars isn’t the greatest movie ever made. But it is one of the most impactful and as a movie franchise it is my favorite.